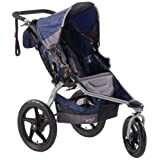 Amazon has BOB Revolution SE Single Stroller, Orange for $279.99. This is 39% off from the regular price of $459.99. Free shipping is available. This entry was posted in Strollers on January 5, 2015 by admin. 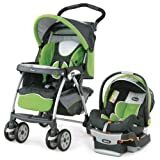 Amazon has Chicco Cortina KeyFit 30 Travel System for $247.49. The price is now at $329.99, but when you add to shopping cart and checkout, there is an instant $82 coupon applied making the final price $247.49. This entry was posted in Strollers on November 29, 2014 by admin. Amazon’s deal of the day has 40% off on baby essentials. This entry was posted in Strollers on November 24, 2014 by admin.